That old stager, ER, was made for 15 seasons. It held Australia’s prime time attention for many of those years, pulling big audience numbers, but in the last few series channel 9 pulled its usual trick of switcharoo, changing the air time, in the end putting it on very late at night. I don’t think the show ever jumped the shark, though it could perhaps be said that it ended up being a little less fresh than it was in its heyday. That, and perhaps the constant loss of favourite characters, made viewers fall away. 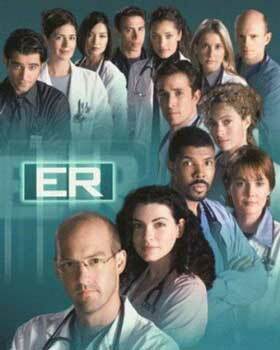 If you missed the last season of ER, then on 13 October, 2010, you can buy it on DVD. The cost will be $59.95 RRP. There’s 26 episodes, with a bumper runtime of 929 minutes. Speical features include two featurettes, ‘Outpatient Outtakes’, showing unaired scenes, and ‘Previously on ER’, a retrospective. Next ArticleMB&F HM4 Thunderbolt watch… time flies?